Jared Stasik graduated from the Michigan Venture Fellows Program in 2014. 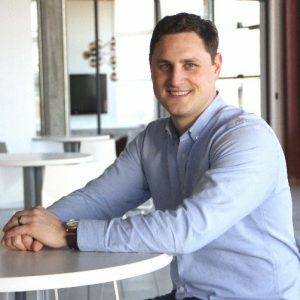 Jared Stasik is currently a vice president at Detroit Venture Partners. He has broad expertise in financial modeling, operational analysis, sales planning, and market research. Prior to joining DVP, Jared spent five years as a Consultant at ZS Associates, a leading global consulting firm in sales and marketing strategy. Jared earned his BBA from the Ross School of Business at the University of Michigan. He earned an MBA from the Haas School of Business at the University of California-Berkeley, graduating with high honors and receiving the distinction of Most Outstanding Graduate Instructor for his instruction of Operations Management and Leadership Communication.